In Ralph Breaks the Internet, Ralph and Vanellope go on a sprawling, cutely animated online adventure – but crash somewhere along the way. The 8-bit arcade games 2012’s Wreck-It Ralph took delight in parodying are a relic of pop culture entertainment as the gaming industry shifts to internet-reliant gaming. 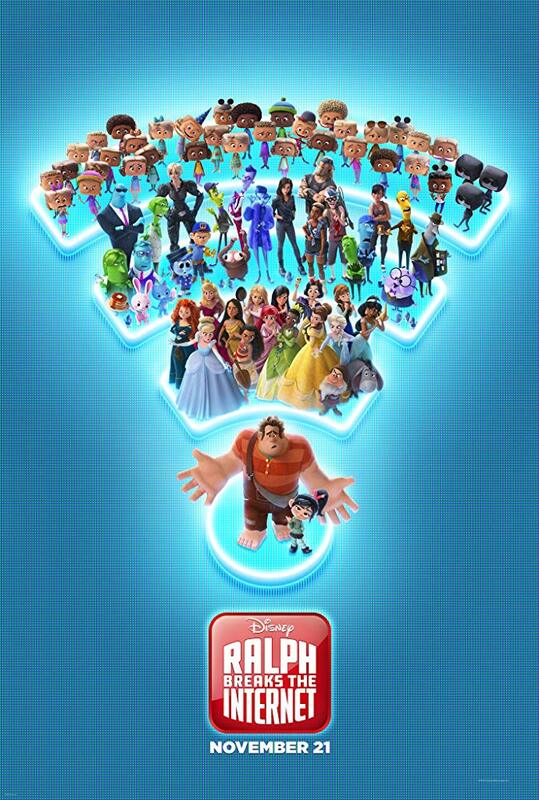 Ralph Breaks the Internet follows that trend, sending its lead characters on a sprawling adventure into the land of Wifi, in a story that sometimes hits the mark, and sometimes loses the connection. Though a product of Disney Animations, the film may not entirely appeal to children. There’s plenty of brightly colored imagery in the opening third, which features a depiction of the internet and major entities like Twitter, eBay and Google as living creatures in a bustling online city. Whenever a user (represented by a plump oval-shaped avatar) clicks a link, a car swings by and scoops them up to carry them to their destination. It’s an imaginative world that gets decently explored. But the film also lingers perhaps too long on adult themes, such as dealing with hateful comments online and, spoilers withheld, a climax that likely will not connect with children for a variety of reasons. As is the recent trend with blockbuster releases, animated and live action, so much is packed into the runtime (here 112 minutes) that parts feel removed from each other – there’s no singular theme or goal that brings all the pieces together. Ralph (voiced by John C. Reilly) and Vanellope (Sarah Silverman), an ex-villain brute and a racing game princess made best buds in the first film, have fallen into a routine. When the arcade their machines are housed in gets a Wifi connection, they dive in headfirst (literally) on a quest to repair a broken arcade game. Their journey takes them through social media districts, a spoof of YouTube and Buzzfeed where Ralph endeavors to become a meme, and Disney’s take on its own online empire. Here, the movie becomes the Ready Player One of Disney, featuring characters from the company’s vast array of IPs including Star Wars, Marvel and Pixar films. All of the Disney princesses appear in an extended cameo – Cinderella, Belle, Moana and the Frozen girls are all present, all poking self-deprecating fun at their own stories. They’re arguably the funniest part of the film, but do little to forward anything but Disney’s own namesake. Ralph and Vanellope’s adventure brings them to Slaughter Race, a massive multiplayer online game spoofing the likes of Grand Theft Auto. The movie offers some of its best animation with a street race that has characters driving up walls and launching over fires, but the colors are muted to a dull gray and brown due to the nature of the game’s rundown city setting. Sequences like this highlight the tonal inconsistencies of the film, and raise the biggest question it offers: Who exactly is this movie for?